← What Have We Become (or What is Wrong with CCM)? JesusFreakHideout.com has been one of the best websites to visit over the years when it comes to music news and album reviews. 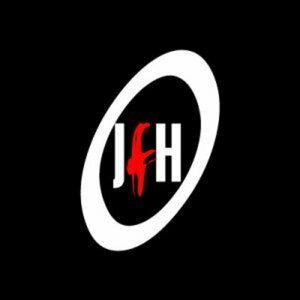 I recently spoke with the founder of JFH, John DiBiase, about how he started the website and what he thinks of Christian music today. Gabe: When and why did you start Jesus Freak Hideout? John: I became a born again Christian around the age of 13 and really started getting into Christian music around that time, but broadened my stylistic tastes more when I was about 14. Some time after we got the internet at home (dial-up!! ), I spent an afternoon playing around with one of those free Angelfire.com webpages and learned very, very basic HTML in about a half-an-hour and started a little webpage on Angelfire. I used to go by the name “Jesus Freak” in chat rooms, and one of them (NetCentral I think?) offered free private chat rooms, so I called it “Jesus Freak Hideout.” I never used the chat room but when I started the Angelfire page, I gave it that name: The Jesus Freak Hideout (I later started using “Jesusfreakhideout.com” since it was common for sites to incorporate the full address so it can be remembered easier). The day I started it was August 13th, 1996. I was 16 years old. Interestingly enough, later that night (after I started the site), we went to a Jars of Clay concert. I still have the ticket stub too! The reason I started JFH was to create a one-stop place for all things Christian music: news, release dates, concert info, reviews (the following year), and compile the info you’d find on individual artists’ webpages into one location. One inspiring site at the time was called “The Lighthouse Electronic Magazine,” but sadly it didn’t stick around very long. They mainly offered music reviews. A lot of similar sites to them and JFH have sprung up (some have come and gone) since we started, but our vision hasn’t changed. Christian music — although I feel it isn’t as good or quality right now as it used to be, in most cases — really inspired me as a teenager and budding believer, and I wanted to help spread awareness of it via the web. Gabe: You mentioned that you don’t think the quality is as evident now as it was then. Why do you think that is? John: I think if you ask this question to many people, they’d all give you a different answer. But from my perspective, having been in the industry now for 18 years (and we’re not even based in the hub of Nashville), I’ve seen a lot of change with music in this digital, mp3-driven age. Since Napster was birthed, and along with it file sharing, the music biz has tanked massively, causing labels to scramble to find something that works in the midst of this “chaos.” Lots of lay-offs, downsizing, and bands being let go have happened in recent years, leaving people in charge who don’t necessarily even care about the music — just mostly in keeping their jobs. It’s a bit of a cynical view, but I’ve seen some truly wonderful people lose their jobs and be replaced by people who just don’t seem to really care. It’s really sucked the fun out of the industry for me. I still believe in the message and I still remember how much Christian music changed my life, but I feel like the majority of the music quality is in a slump. Sadly, it seems like, now more than ever, there’s a game that needs to be played– for bands and press. And, as media, you kind of need to like EVERYTHING or you upset a lot of people (Readers and industry folk). It’s not easy for many of us to sit back, see how things are going and be blissful about it. As far as the music quality… I’ve heard it said time and again that radio, at least in CCM, is king. Labels have a nickname for the demographic of AC radio loving listeners even and cater towards them entirely because that’s what’s getting songs played and that’s what’s moving units. Most rock radio shows and stations have gotten canceled, gone out of business, lost support entirely in favor of whatever’s most popular. And that seems to be worship music. Not just Christ-centered music (like DC Talk, Audio Adrenaline, PFR, Newsboys, Steven Curtis, etc) but straight up Tomlin, Hillsong, etc… and it’s also selling because the music is crafted to be singable and easily reproduced on Sunday mornings by worship teams that don’t really play music more than once or twice a week. It’s not a great time for a Christian musician to be living in (if they want to get signed to a label. If they’re happy being indie, it’s probably a great time). I think worship music is incredibly important, but it’s not everything. Or, at least, since that’s our destiny to be worshipping in heaven, here on earth it’s ideal for it to at least be more creative, unique, and artful than it is. As God’s children, I’ve always felt like we–being children of the CREATOR–should be making the best art and creations we can–even if it’s not “popular.” But in this economy, and in this music industry, that doesn’t mean it’s the best economical option. So it’s a bit of a catch 22 — if you as a musician want to keep your job, you may have to turn your rock or hard rock band into a poppy, contemporary worship band (I’m sure some bands or artists pop in your mind upon reading that). In all fairness, it doesn’t help to be a music listener — of a majority of what’s released — for almost 20 years. For instance, we’ve been listening since modern worship grew and broke out with Sonicflood and Delirious. We’ve seen Hillsong rise. We’ve seen Tomlin go from an opener on a small tour, releasing humble pop albums to becoming a mega star. But if your average newcomer listener picks up their first Hillsong album (out of the 20+ album choices out there, or however many it is now), it’s fresh and new to them. If they go to their first Passion Conference after never hearing anything like that before, have an incredible spiritual experience and go home with the latest Passion recording, it’s fresh and new to them. And you know what? That’s awesome! That’s great! But what irks me is that a lot of these projects tend to sound the same over the years and that even wouldn’t be all that bad if it wasn’t being used as the standard for everything else coming out. I feel like, a long time ago, there was a place for lots of different styles and approaches to music. But now you can’t have a radio single unless it sounds a VERY specific way and says certain things. I’ve heard some real awful stories about amazing songs that actually try to make some concessions for radio play and don’t get played because they’re too heavy thematically. And that’s just disgusting to me. It’s frustrating because I love how the 90s offered a lot of variety in music. If you hated Christian radio, you had a lot of other options — whether they were artists on smaller indie labels like R.E.X., Tattoo Records, Pamplin / Organic, NSoul, 5 Minute Walk / Sara Bellum, Squint, etc — there seemed to be a lot more options on Christian bookstore shelves and in the Christian music circuit. Let’s put it this way — are Christian music festivals dying out (the “smaller”, edgier ones like Cornerstone and Purple Door) because the music industry isn’t allowing for exposure for that type of music? Or is it because a lot of the new music just isn’t that great? Back then, Forefront Records and Sparrow Records were actually two separate labels, before merging into “EMI Christian Music Group” and now “Capitol CMG.” If you didn’t like Christian radio, there were rock hours or even nights where the Christian music underground was exposed to radio listeners and those listeners could dig through demos at Christian bookstores to find some really, really cool stuff. These days, those demos in stores have basically been replaced by Facebook pages and Spotify or Soundcloud or Bandcamp streams. You have to love VERY similar-sounding worship music or dig around the internet to find something cool. Gabe: In your opinion, who IS putting out quality music today? John: I think NEEDTOBREATHE have found a great balance between pop and folk rock. I think Switchfoot have found a way to even inject thoughtful lyrics into very poppy music (the Fading West album, for example). And both bands have incredible live performances. I also love Jon Foreman’s solo stuff. I think All Sons & Daughters have a fresh approach to worship. And I just love that Kickstarter and similar options have opened the doors for bands to continue on with more artistic freedom — be it Disciple, Project 86, or Steve Taylor & The Perfect Foil. More bands HAVE to go indie if they want to break out of the molds the industry tries to force bands into. I just think a lot of the current CCM radio music is just boring. I’ve heard some new albums recently where I could *literally* predict how a song–which I’ve never heard before–was going to end in my head, and then it does. I love seeing bands like Kings Kaleidoscope try to think outside of the box more and do something unique. I find myself looking forward to new music from a lot of the same artists I’ve listened to for 10 or more years. I can’t even remember who the last “new” artist was that I heard and really, really liked. Anyway, sorry for the long answer — and so much more can be said and expanded upon, but who wants to read it all? Plus, it’s probably something better for a good coffee discussion where a bunch of inputs can be shared and discussed. I “get” why some of the things are they way they are right now, but it doesn’t mean I like it (or have to). I believe Christian music, at one time, was really something special. And while God’s still continuing to use it (and us)–warts and all–I just think it could still be a lot better. Gabe: How then can you explain this explosion that has happened with the “Christian” hip hop/rap genre the last 3 years or so? It’s one of the only genres that has actually grown when it comes to record sales. John: Really great question. Personally, I’ve never been a hip hop guy. I started listening to John Reuben after seeing him open for Audio Adrenaline and then I just thought Mars Ill’s “pro pain” was brilliant. But i greatly respect what these artists do and their craft. I think the quality of Christian rap and hip hop has gone up a lot in the past decade — or, at the very least — people are sick of the negative and vulgar stuff in the mainstream and they’re finding CCM artists to serve as alternatives. Either way, that’s awesome. But that kind of music is huge in the mainstream and i think it’s cool that CCM is finally keeping up with trends, even if it is often still a bit behind. Music with a beat is definitely in demand right now. Gabe: You do a lot of Art in your free time. What usually inspires you? How can people look at/buy your work? John: I actually started drawing very early on as a little kid. Around the time I got saved, I got more heavily into wanting to learn to draw portraits and such. I was even into drawing before ever hearing Christian music. But I do remember some of my first portraits (that are terrrrible!) were of Christian musicians. I dropped drawing almost entirely in favor of JFH stuff over the years. But about 3 or 4 years ago, I found myself near an art supplies store and popped in. I just terribly missed everything about art and drawing. So since then, I’ve been trying to draw a little bit each day in hopes of fine-tuning what God’s given me in hopes to do more with it in time. Most of the drawings I do are part of my goal to practice and get better at it. I choose A LOT of pop culture stuff because I find it fun, and part of the challenge. If I’m happy with the end result (which is rare unfortunately), then I might end up with something I really really like. Plus the way I do it, drawing freehand, it requires me to look at a photo for hours on end to try to reproduce it as a drawing. So I try to keep it stuff I’m interested in. Some of the most fun pieces I’ve done though have been from concert photos I took myself. It’s rewarding to know that the end product is completely my creation — from the photo I took to the drawing I end up with. I try to keep www.JohnDiBiase.com relatively updated with the latest finished projects. 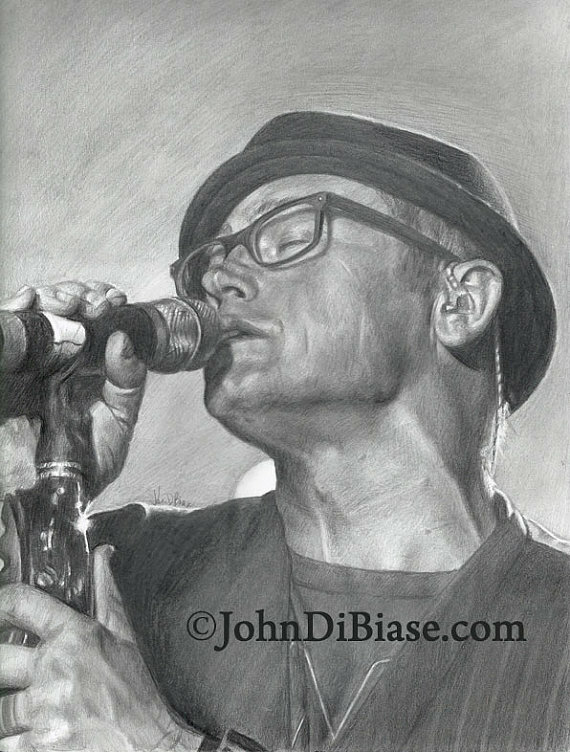 But I post all of them right away to my Etsy store where people can buy copies of them — and sometimes the actual drawing itself — at https://www.etsy.com/shop/JohnDiBiaseArt and on my Facebook page for my artwork at https://www.facebook.com/JohnDiBiaseArt I’m trying to push myself all the time while still hopefully keeping it fun. This entry was posted in art, Christianity, Music and tagged all sons and daughters, audio adrenaline, chris tomlin, dc talk, delirious, disciple, etsy, hillsong, jars of clay, jesus freak hideout, john reuben, jon foreman, kings kaleidoscope, mars ill, needtobreathe, passion, pfr, project 86, sonicflood, steve taylor, steven curtis chapman, switchfoot, tobymac. Bookmark the permalink. I’m pretty sure John DiBlasi & I are the same age. I also feasted on CD’s from REX, 5minWalk, Squint, Tattoo, etc. Going back & listening to early Plankeye and Poor Old Lu makes me weep. Where are songs like “Who Loves You More” and “Hello Sunny Weather”and “Scarred But Smarter” that talk about the struggle in relationships and yearning to put Christ first? How can a song that repeats the same line 15 times be as helpful to young believers as those songs? However, I’ve spent the last 10 years dealing w/ multiple high-risk pregnancies and 4 small children. (Age 9 to 5 mos). If a cucumber or a tomato didn’t sing it, I didn’t hear it. I felt like I lost some huge chunk of Christian culture underground, especially after Cornerstone went bust. But, what you seem to be saying is that WORSHIP music is where it all went??? Seriously? Is Hillsong & Jesus Culture the best Christian Culture had to offer? If that’s the case, then, for the first time in years, I don’t feel like I missed anything significant. I feel like I could reasonably keep writing songs and have something significant to say. Yes, I want to EAT, but the prospect of not making $$$ from music wasn’t as bad as feeling like anything i said would be utterly irrelevant. Dotty, there is a ton of good Christian music out there, a lot of it just isn’t played on Christian radio stations. Go to youtube or any other music site and search for anything by Kevin Max or Falling Up, my favorite two artists.. Need something with a rock edge? Try Skillet, Red, Thousand Foot Krutch or Disciple. Want an older band with lyrics that will speak to you? Get Jars of Clay last release Inland. Want something more current? For King and Country just released an amazing song, Fix my Eyes, which actually is played on radio right now. Check out Jesusfreakhideout.com for a bunch of reviews of Christian albums in just about every genre available. I believe there is good Christian music out there, you just can’t rely on the radio to hear it.